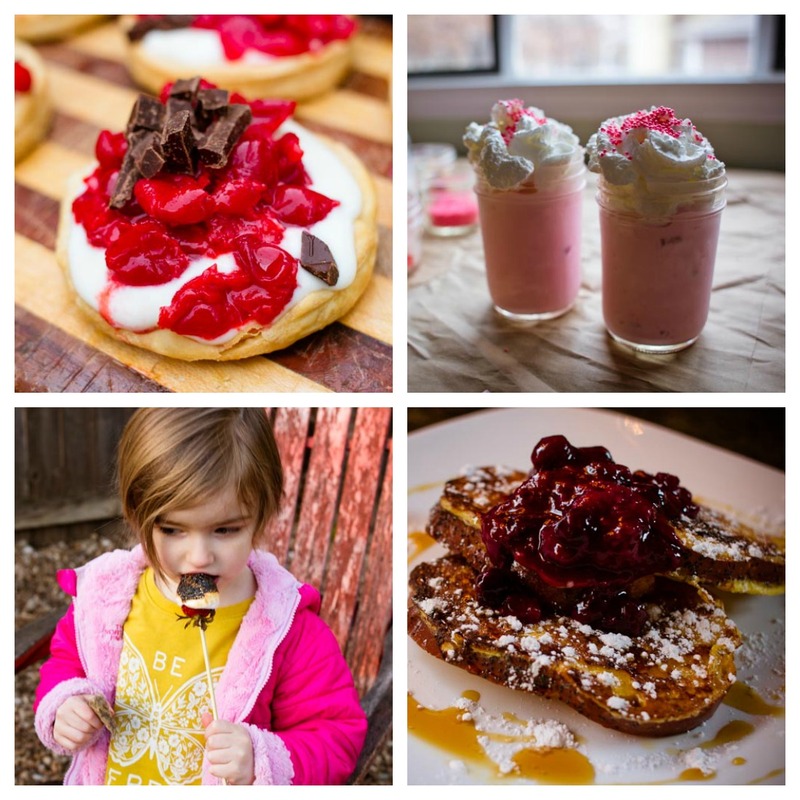 Valentine's Day is the best time to bring out all the red and pink foods. Think strawberries, cherries, and mixed berries. Valentine's Day is also a great day to make a sweet treat for anyone you love and appreciate. Here are four of our favorites. These are roasted marshmallows taken to a whole new level. 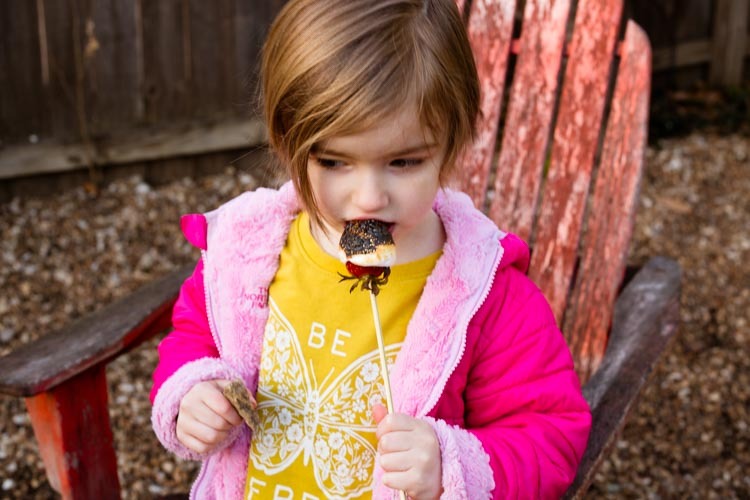 Warm, sweet strawberries covered in melted marshmallow and caramelized in the fire — completly decadent. 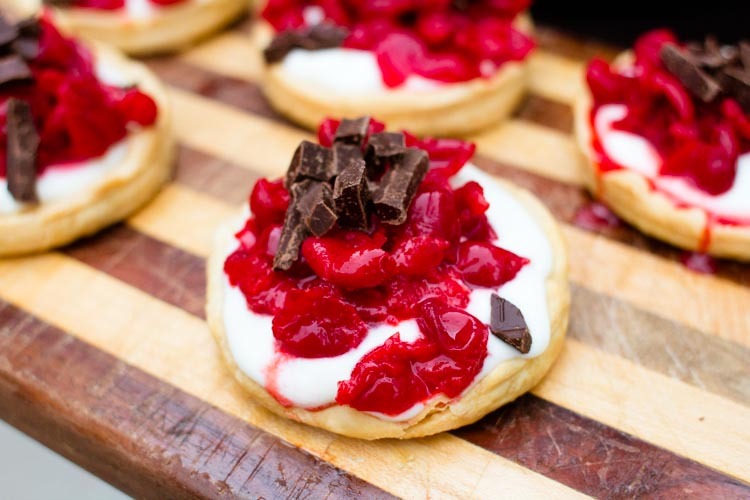 One of my favorite combos — cherries and chocolate. This recipe uses fresh sour cherries but you could easily substitute canned or frozen cherries. Make this recipe for friends or family or co-workers. They will all feel the love, for sure. 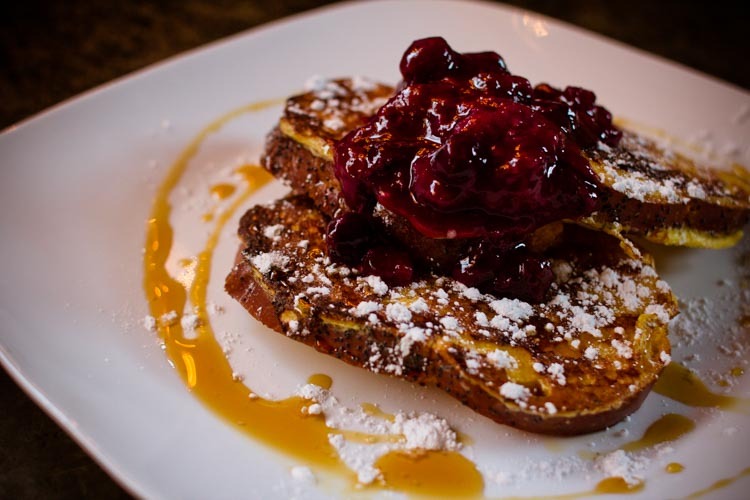 Warm, sweet, soft, and crunchy — french toast is a wonderful way to say "I love you" and "I want you to eat well today." French toast is quite easy to make. You could even shape the bread into hearts to make it extra-special. 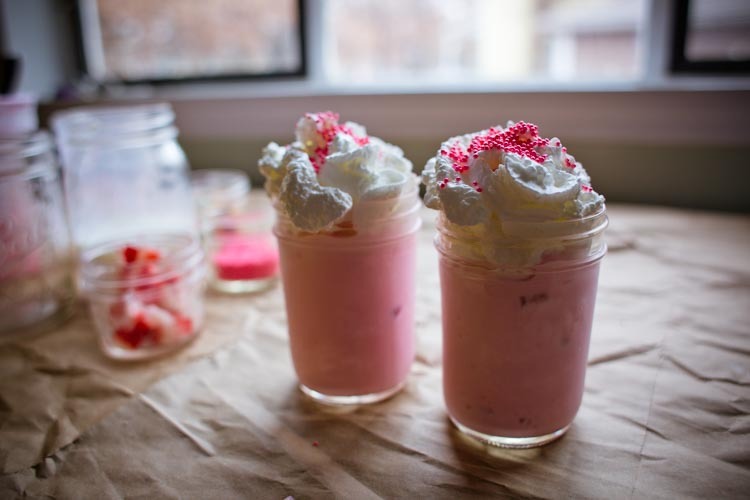 These milk shakes are really fun treats for kids to make. It would make a lovely after school snack on Valentine's Day.